Image credit: with our thanks to Gizmodo. 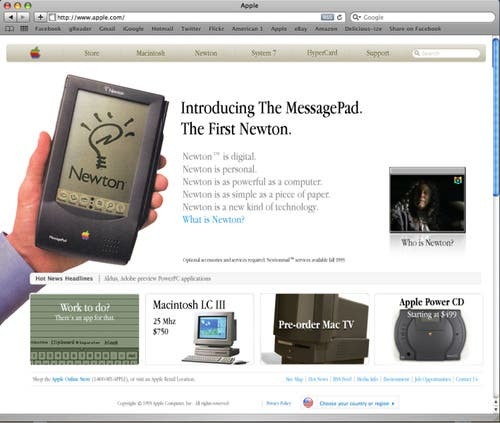 The mock-up is the work of RetroMacCast listener newtonpoetry, who's really nailed the details—as he did in his re-imagining of Apple's 1983 website. Just look at how magical and revolutionary that Newton is!